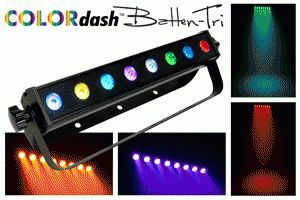 CHAUVET®, a leading manufacturer of LED lighting, announced nearly 90 COLORdash™ Batten TRI LED wash lights have taken the stage on “The Voice”, a new star-studded show debuting on NBC this April 26, 2011. Modeled after a successful television series in Holland, "The Voice" is a vocal competition hosted by Carson Daly and featuring Christina Aguilera, Cee Lo Green, Adam Levine and Blake Shelton as celebrity judges and vocal coaches. 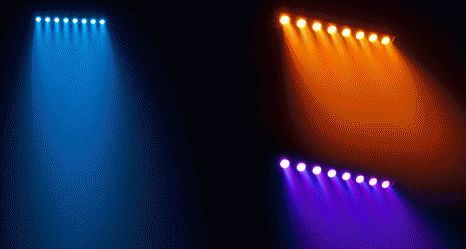 The CHAUVET® linear tri-colored LED lights were specified by lighting designer Oscar Dominguez, principal at Darkfire Lighting Design. They are strategically placed under the large centralized performance floor and at one end of a large expanse of stage floor where the judges sit. "The Voice" is created by John de Mol, who will executive produce along with Burnett and Audrey Morrissey.